AMG® PERFORMANCE EXHAUST SYSTEM, RED SEAT BELTS, AMG® PERFORMANCE STEERING WHEEL. Recent Arrival! 19/26 City/Highway MPG The AMG® C 43 Cabriolet aims to thrill...and succeeds in thrilling! This is all thanks to its AMG®-enhanced 3.0L V6 bi-turbo engine, paired with exciting performance technology. This pairing makes the AMG® C 43 Cabriolet accelerate to 0-60 mph in around 4.6 seconds, and provides 362 horsepower and 384 lb-ft of torque. With these impressive statistics, you'll have plenty of fun driving it. A performance cabriolet such as the AMG® C 43 makes racing the sky above you a possibility. The exterior of the AMG® C 43 Cabriolet is stunning, to say the least. With an all-season power soft top, AMG® Wheels, and Gloss Black side mirrors, the AMG® C 43 Cabriolet is the definition of a hot drop-top. The interior of the AMG® C 43 Cabriolet also shines, whether the top is up or down. The performance infused cockpit features sculpted sport seats, red topstitching, AMG® Sport Steering wheel, and a variety of exclusive upholstery options to choose from. The interior of the AMG® C 43 Cabriolet is enjoyable and thrilling even when you don't have the top down!AMG® PERFORMANCE EXHAUST SYSTEM, RED SEAT BELTS, AMG® PERFORMANCE STEERING WHEEL. EXTERIOR LIGHTING PACKAGE, MULTIMEDIA PACKAGE, AMG® NIGHT PACKAGE, PARKING ASSISTANCE PACKAGE, AMG® CARBON FIBER TRIM, HEATED AND VENTILATED FRONT SEATS, HEAD-UP DISPLAY. Recent Arrival! The AMG® C 63 S Cabriolet is the ultimate thrill machine. This is all thanks to its handcrafted AMG® 4.0L V8 biturbo engine, paired with exciting performance technology. This pairing makes the AMG® C 63 S Cabriolet accelerate to 0-60 mph in an impressive 4.0 seconds, and provides 503 horsepower and 516 lb-ft of torque. With these impressive statistics, you'll have plenty of fun driving it. The AMG® C 63 S Cabriolet sets the bar high for open-air performance, whether or not the top is up or down. The exterior of the AMG® C 63 S Cabriolet is stunning, to say the least. With an all-season power soft top, AMG® Wheels, and flared and aerodynamic body and fenders, the AMG® C 63 S Cabriolet is the definition of a hot drop-top. The interior of the AMG® C 63 S Cabriolet also shines. The performance infused cockpit features deeply contoured sport front seats, brushed-metal foot pedals, AMG® Sport Steering wheel, and a variety of exclusive upholstery options to choose from. The interior of the AMG® C 63 S Cabriolet is enjoyable and thrilling even when you don't have the top down!EXTERIOR LIGHTING PACKAGE, MULTIMEDIA PACKAGE, AMG® NIGHT PACKAGE, PARKING ASSISTANCE PACKAGE, AMG® CARBON FIBER TRIM, HEATED AND VENTILATED FRONT SEATS, HEAD-UP DISPLAY. The AMG® C 63 S Cabriolet is the ultimate thrill machine. This is all thanks to its handcrafted AMG® 4.0L V8 biturbo engine, paired with exciting performance technology. This pairing makes the AMG® C 63 S Cabriolet accelerate to 0-60 mph in an impressive 4.0 seconds, and provides 503 horsepower and 516 lb-ft of torque. With these impressive statistics, you'll have plenty of fun driving it. The AMG® C 63 S Cabriolet sets the bar high for open-air performance, whether or not the top is up or down. The exterior of the AMG® C 63 S Cabriolet is stunning, to say the least. With an all-season power soft top, AMG® Wheels, and flared and aerodynamic body and fenders, the AMG® C 63 S Cabriolet is the definition of a hot drop-top. The interior of the AMG® C 63 S Cabriolet also shines. The performance infused cockpit features deeply contoured sport front seats, brushed-metal foot pedals, AMG® Sport Steering wheel, and a variety of exclusive upholstery options to choose from. The interior of the AMG® C 63 S Cabriolet is enjoyable and thrilling even when you don't have the top down! 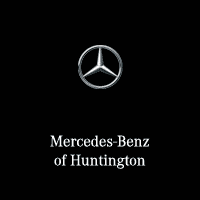 PREMIUM PACKAGE, MULTIMEDIA PACKAGE, AMG® LINE, PARKING ASSISTANCE PACKAGE, ILLUMINATED STAR, 64-COLOR AMBIENT LIGHTING. Recent Arrival! 21/29 City/Highway MPG Picture this. It's a beautiful summer day on Long Island. You've got no plans for the day and decide to take a spontaneous trip to the Hamptons to enjoy the magnificent weather. What car would be best to take the trip in? The Mercedes-Benz C-Cabriolet of course! You hop in your C-Cabriolet, open the top and let the sun shine on your face, and start your journey to the Hamptons with the wind in your hair and the biggest smile on your face. This vision can become a reality when you purchase a C-Cabriolet! The C-Class Cabriolet opens a new dynasty of driving enjoyment as well as sporty elegance. Its convertible top is woven not just from rich fabric but a legacy of innovation, athleticism and craftsmanship. That is something that never goes out of season! The C-Cabriolet never fails to thrill, even year-round. With AIRSCARF®, you can still enjoy the top being down when it's a little chillier outside. The AIRSCARF® system wraps warm air around your shoulder area to provide you with warm comfort, even on a chilly night or a cooler fall day. The C-Cabriolet even has a special climate control system that adjusts according to whether you have the top down or not. Clearly, the C-Cabriolet is a vehicle that caters to you whether the top is up or down!PREMIUM PACKAGE, MULTIMEDIA PACKAGE, AMG® LINE, PARKING ASSISTANCE PACKAGE, ILLUMINATED STAR, 64-COLOR AMBIENT LIGHTING. AMG® PERFORMANCE EXHAUST SYSTEM. Recent Arrival! The AMG® C 43 Cabriolet aims to thrill...and succeeds in thrilling! This is all thanks to its AMG®-enhanced 3.0L V6 bi-turbo engine, paired with exciting performance technology. This pairing makes the AMG® C 43 Cabriolet accelerate to 0-60 mph in around 4.6 seconds, and provides 362 horsepower and 384 lb-ft of torque. With these impressive statistics, you'll have plenty of fun driving it. A performance cabriolet such as the AMG® C 43 makes racing the sky above you a possibility. The exterior of the AMG® C 43 Cabriolet is stunning, to say the least. With an all-season power soft top, AMG® Wheels, and Gloss Black side mirrors, the AMG® C 43 Cabriolet is the definition of a hot drop-top. The interior of the AMG® C 43 Cabriolet also shines, whether the top is up or down. The performance infused cockpit features sculpted sport seats, red topstitching, AMG® Sport Steering wheel, and a variety of exclusive upholstery options to choose from. The interior of the AMG® C 43 Cabriolet is enjoyable and thrilling even when you don't have the top down!AMG® PERFORMANCE EXHAUST SYSTEM. PREMIUM PACKAGE, MULTIMEDIA PACKAGE, 64-COLOR AMBIENT LIGHTING. Recent Arrival! 21/29 City/Highway MPG Picture this. It's a beautiful summer day on Long Island. You've got no plans for the day and decide to take a spontaneous trip to the Hamptons to enjoy the magnificent weather. What car would be best to take the trip in? The Mercedes-Benz C-Cabriolet of course! You hop in your C-Cabriolet, open the top and let the sun shine on your face, and start your journey to the Hamptons with the wind in your hair and the biggest smile on your face. Have no interruptions of being lost or fumbling with map directions, thanks to the COMAND® Navigation System equipped in this convertible. Enjoy your favorite tunes with the top down with the Burmester Surround Sound System. This vision can become a reality when you purchase a C-Cabriolet! The C-Class Cabriolet opens a new dynasty of driving enjoyment as well as sporty elegance. Its convertible top is woven not just from rich fabric but a legacy of innovation, athleticism and craftsmanship. That is something that never goes out of season! The C-Cabriolet never fails to thrill, even year-round. With AIRSCARF®, you can still enjoy the top being down when it's a little chillier outside. The AIRSCARF® system wraps warm air around your shoulder area to provide you with warm comfort, even on a chilly night or a cooler fall day. The Heated Steering Wheel takes coziness to the next level, especially when in use at night with the 64-Color Ambient Lighting.The C-Cabriolet even has a special climate control system that adjusts according to whether you have the top down or not. Clearly, the C-Cabriolet is a vehicle that caters to you whether the top is up or down!PREMIUM PACKAGE, MULTIMEDIA PACKAGE, 64-COLOR AMBIENT LIGHTING. Picture this. It's a beautiful summer day on Long Island. You've got no plans for the day and decide to take a spontaneous trip to the Hamptons to enjoy the magnificent weather. What car would be best to take the trip in? The Mercedes-Benz C-Cabriolet of course! You hop in your C-Cabriolet, open the top and let the sun shine on your face, and start your journey to the Hamptons with the wind in your hair and the biggest smile on your face. Have no interruptions of being lost or fumbling with map directions, thanks to the COMAND® Navigation System equipped in this convertible. Enjoy your favorite tunes with the top down with the Burmester Surround Sound System. This vision can become a reality when you purchase a C-Cabriolet! The C-Class Cabriolet opens a new dynasty of driving enjoyment as well as sporty elegance. Its convertible top is woven not just from rich fabric but a legacy of innovation, athleticism and craftsmanship. That is something that never goes out of season! The C-Cabriolet never fails to thrill, even year-round. With AIRSCARF®, you can still enjoy the top being down when it's a little chillier outside. The AIRSCARF® system wraps warm air around your shoulder area to provide you with warm comfort, even on a chilly night or a cooler fall day. The Heated Steering Wheel takes coziness to the next level, especially when in use at night with the 64-Color Ambient Lighting.The C-Cabriolet even has a special climate control system that adjusts according to whether you have the top down or not. Clearly, the C-Cabriolet is a vehicle that caters to you whether the top is up or down! PREMIUM PACKAGE, MULTIMEDIA PACKAGE, AMG® LINE. Recent Arrival! 21/29 City/Highway MPG Picture this. It's a beautiful summer day on Long Island. You've got no plans for the day and decide to take a spontaneous trip to the Hamptons to enjoy the magnificent weather. What car would be best to take the trip in? The Mercedes-Benz C-Cabriolet of course! You hop in your C-Cabriolet, open the top and let the sun shine on your face, and start your journey to the Hamptons with the wind in your hair and the biggest smile on your face. Have no interruptions of being lost or fumbling with map directions, thanks to the COMAND® Navigation System equipped in this convertible. Enjoy your favorite tunes with the top down with the Burmester Surround Sound System. This vision can become a reality when you purchase a C-Cabriolet! The C-Class Cabriolet opens a new dynasty of driving enjoyment as well as sporty elegance. The AMG® Line adds aggressive and athletic design cues to the exterior, making this cabriolet even more like eye-candy. Its convertible top is woven not just from rich fabric but a legacy of innovation, athleticism and craftsmanship. That is something that never goes out of season! The C-Cabriolet never fails to thrill, even year-round. With AIRSCARF®, you can still enjoy the top being down when it's a little chillier outside. The AIRSCARF® system wraps warm air around your shoulder area to provide you with warm comfort, even on a chilly night or a cooler fall day. The Heated Steering Wheel takes coziness to the next level. The C-Cabriolet even has a special climate control system that adjusts according to whether you have the top down or not. Clearly, the C-Cabriolet is a vehicle that caters to you whether the top is up or down!PREMIUM PACKAGE, MULTIMEDIA PACKAGE, AMG® LINE. This vision can become a reality when you purchase a C-Cabriolet! The C-Class Cabriolet opens a new dynasty of driving enjoyment as well as sporty elegance. The AMG® Line adds aggressive and athletic design cues to the exterior, making this cabriolet even more like eye-candy. Its convertible top is woven not just from rich fabric but a legacy of innovation, athleticism and craftsmanship. That is something that never goes out of season! The C-Cabriolet never fails to thrill, even year-round. With AIRSCARF®, you can still enjoy the top being down when it's a little chillier outside. The AIRSCARF® system wraps warm air around your shoulder area to provide you with warm comfort, even on a chilly night or a cooler fall day. The Heated Steering Wheel takes coziness to the next level. The C-Cabriolet even has a special climate control system that adjusts according to whether you have the top down or not. Clearly, the C-Cabriolet is a vehicle that caters to you whether the top is up or down! PREMIUM PACKAGE, MULTIMEDIA PACKAGE, AMG LINE, PARKING ASSISTANCE PACKAGE, ILLUMINATED STAR, 64-COLOR AMBIENT LIGHTING. Recent Arrival! 21/29 City/Highway MPG Picture this. It's a beautiful summer day on Long Island. You've got no plans for the day and decide to take a spontaneous trip to the Hamptons to enjoy the magnificent weather. What car would be best to take the trip in? The Mercedes-Benz C-Cabriolet of course! You hop in your C-Cabriolet, open the top and let the sun shine on your face, and start your journey to the Hamptons with the wind in your hair and the biggest smile on your face. The COMAND Navigation system will make sure you get to the beach with ease, and in the quickest route possible. This vision can become a reality when you purchase a C-Cabriolet! The C-Class Cabriolet opens a new dynasty of driving enjoyment as well as sporty elegance. The AMG Line gives this cabriolet an extra edge of sporty design, with AMG Bodystyling and 18" AMG® 5-Spoke Wheels. The Illuminated Star shines bright in the grille to further add to the design appeal of this vehicle. Its convertible top is woven not just from rich fabric but a legacy of innovation, athleticism and craftsmanship. That is something that never goes out of season! The C-Cabriolet never fails to thrill, even year-round. With AIRSCARF®, you can still enjoy the top being down when it's a little chillier outside. The AIRSCARF® system wraps warm air around your shoulder area to provide you with warm comfort, even on a chilly night or a cooler fall day. The Heated Steering Wheel keeps your hands nice and toasty no matter what the weather is, and the 64-Color Ambient Lighting will always set the mood for a great drive. The C-Cabriolet even has a special climate control system that adjusts according to whether you have the top down or not. Clearly, the C-Cabriolet is a vehicle that caters to you whether the top is up or down!PREMIUM PACKAGE, MULTIMEDIA PACKAGE, AMG LINE, PARKING ASSISTANCE PACKAGE, ILLUMINATED STAR, 64-COLOR AMBIENT LIGHTING. This vision can become a reality when you purchase a C-Cabriolet! The C-Class Cabriolet opens a new dynasty of driving enjoyment as well as sporty elegance. The AMG Line gives this cabriolet an extra edge of sporty design, with AMG Bodystyling and 18" AMG® 5-Spoke Wheels. The Illuminated Star shines bright in the grille to further add to the design appeal of this vehicle. Its convertible top is woven not just from rich fabric but a legacy of innovation, athleticism and craftsmanship. That is something that never goes out of season! The C-Cabriolet never fails to thrill, even year-round. With AIRSCARF®, you can still enjoy the top being down when it's a little chillier outside. The AIRSCARF® system wraps warm air around your shoulder area to provide you with warm comfort, even on a chilly night or a cooler fall day. The Heated Steering Wheel keeps your hands nice and toasty no matter what the weather is, and the 64-Color Ambient Lighting will always set the mood for a great drive. The C-Cabriolet even has a special climate control system that adjusts according to whether you have the top down or not. Clearly, the C-Cabriolet is a vehicle that caters to you whether the top is up or down! PREMIUM PACKAGE, MULTIMEDIA PACKAGE, AMG LINE, PARKING ASSISTANCE PACKAGE, ILLUMINATED STAR, 64-COLOR AMBIENT LIGHTING, HEATED STEERING WHEEL. Picture this. It's a beautiful summer day on Long Island. You've got no plans for the day and decide to take a spontaneous trip to the Hamptons to enjoy the magnificent weather. What car would be best to take the trip in? The Mercedes-Benz C-Cabriolet of course! You hop in your C-Cabriolet, open the top and let the sun shine on your face, and start your journey to the Hamptons with the wind in your hair and the biggest smile on your face. The COMAND Navigation system will make sure you get to the beach with ease, and in the quickest route possible. This vision can become a reality when you purchase a C-Cabriolet! The C-Class Cabriolet opens a new dynasty of driving enjoyment as well as sporty elegance. The AMG Line gives this cabriolet an extra edge of sporty design, with AMG Bodystyling and 18" AMG® 5-Spoke Wheels. The Illuminated Star shines bright in the grille to further add to the design appeal of this vehicle. Its convertible top is woven not just from rich fabric but a legacy of innovation, athleticism and craftsmanship. That is something that never goes out of season! The C-Cabriolet never fails to thrill, even year-round. With AIRSCARF®, you can still enjoy the top being down when it's a little chillier outside. The AIRSCARF® system wraps warm air around your shoulder area to provide you with warm comfort, even on a chilly night or a cooler fall day. The Heated Steering Wheel keeps your hands nice and toasty no matter what the weather is, and the 64-Color Ambient Lighting will always set the mood for a great drive. The C-Cabriolet even has a special climate control system that adjusts according to whether you have the top down or not. Clearly, the C-Cabriolet is a vehicle that caters to you whether the top is up or down! Recent Arrival! 21/29 City/Highway MPG PREMIUM PACKAGE, MULTIMEDIA PACKAGE, AMG LINE, PARKING ASSISTANCE PACKAGE, ILLUMINATED STAR, 64-COLOR AMBIENT LIGHTING, HEATED STEERING WHEEL. PREMIUM PACKAGE, MULTIMEDIA PACKAGE, PARKING ASSISTANCE PACKAGE, ILLUMINATED STAR, 64-COLOR AMBIENT LIGHTING, HEATED STEERING WHEEL. Recent Arrival! 21/29 City/Highway MPG Picture this. It's a beautiful summer day on Long Island. You've got no plans for the day and decide to take a spontaneous trip to the Hamptons to enjoy the magnificent weather. What car would be best to take the trip in? The Mercedes-Benz C-Cabriolet of course! You hop in your C-Cabriolet, open the top and let the sun shine on your face, and start your journey to the Hamptons with the wind in your hair and the biggest smile on your face. The COMAND® Navigation system will make sure you get to the beach with ease, and in the quickest route possible. This vision can become a reality when you purchase a C-Cabriolet! The C-Class Cabriolet opens a new dynasty of driving enjoyment as well as sporty elegance. The Illuminated Star shines bright in the grille to further add to the design appeal of this vehicle. Its convertible top is woven not just from rich fabric but a legacy of innovation, athleticism and craftsmanship. That is something that never goes out of season! The C-Cabriolet never fails to thrill, even year-round. With AIRSCARF®, you can still enjoy the top being down when it's a little chillier outside. The AIRSCARF® system wraps warm air around your shoulder area to provide you with warm comfort, even on a chilly night or a cooler fall day. The Heated Steering Wheel keeps your hands nice and toasty no matter what the weather is, and the 64-Color Ambient Lighting will always set the mood for a great drive. The C-Cabriolet even has a special climate control system that adjusts according to whether you have the top down or not. Clearly, the C-Cabriolet is a vehicle that caters to you whether the top is up or down!PREMIUM PACKAGE, MULTIMEDIA PACKAGE, PARKING ASSISTANCE PACKAGE, ILLUMINATED STAR, 64-COLOR AMBIENT LIGHTING, HEATED STEERING WHEEL. Picture this. It's a beautiful summer day on Long Island. You've got no plans for the day and decide to take a spontaneous trip to the Hamptons to enjoy the magnificent weather. What car would be best to take the trip in? The Mercedes-Benz C-Cabriolet of course! You hop in your C-Cabriolet, open the top and let the sun shine on your face, and start your journey to the Hamptons with the wind in your hair and the biggest smile on your face. The COMAND® Navigation system will make sure you get to the beach with ease, and in the quickest route possible. This vision can become a reality when you purchase a C-Cabriolet! The C-Class Cabriolet opens a new dynasty of driving enjoyment as well as sporty elegance. The Illuminated Star shines bright in the grille to further add to the design appeal of this vehicle. Its convertible top is woven not just from rich fabric but a legacy of innovation, athleticism and craftsmanship. That is something that never goes out of season! PREMIUM PACKAGE, LEATHER SEATING PACKAGE, AMG LINE, NIGHT PACKAGE, PARKING ASSISTANCE PACKAGE, ILLUMINATED STAR, 12.3" DIGITAL INSTRUMENT CLUSTER, 19" AMG MULTI-SPOKE WHEELS WITH BLACK ACCENTS, 64-COLOR AMBIENT LIGHTING, HEATED STEERING WHEEL. Recent Arrival! 21/29 City/Highway MPG Picture this. It's a beautiful summer day on Long Island. You've got no plans for the day and decide to take a spontaneous trip to the Hamptons to enjoy the magnificent weather. What car would be best to take the trip in? The Mercedes-Benz C-Cabriolet of course! You hop in your C-Cabriolet, open the top and let the sun shine on your face, and start your journey to the Hamptons with the wind in your hair and the biggest smile on your face. This vision can become a reality when you purchase a C-Cabriolet! The C-Class Cabriolet opens a new dynasty of driving enjoyment as well as sporty elegance. The AMG Line gives this cabriolet an extra edge of sporty design, with AMG Bodystyling and 18" AMG® 5-Spoke Wheels. The Illuminated Star shines bright in the grille to further add to the design appeal of this vehicle. Its convertible top is woven not just from rich fabric but a legacy of innovation, athleticism and craftsmanship. That is something that never goes out of season! The C-Cabriolet never fails to thrill, even year-round. With AIRSCARF®, you can still enjoy the top being down when it's a little chillier outside. The AIRSCARF® system wraps warm air around your shoulder area to provide you with warm comfort, even on a chilly night or a cooler fall day. The Heated Steering Wheel keeps your hands nice and toasty no matter what the weather is, and the 64-Color Ambient Lighting will always set the mood for a great drive. The C-Cabriolet even has a special climate control system that adjusts according to whether you have the top down or not. Clearly, the C-Cabriolet is a vehicle that caters to you whether the top is up or down!PREMIUM PACKAGE, LEATHER SEATING PACKAGE, AMG LINE, NIGHT PACKAGE, PARKING ASSISTANCE PACKAGE, ILLUMINATED STAR, 12.3" DIGITAL INSTRUMENT CLUSTER, 19" AMG MULTI-SPOKE WHEELS WITH BLACK ACCENTS, 64-COLOR AMBIENT LIGHTING, HEATED STEERING WHEEL. Picture this. It's a beautiful summer day on Long Island. You've got no plans for the day and decide to take a spontaneous trip to the Hamptons to enjoy the magnificent weather. What car would be best to take the trip in? The Mercedes-Benz C-Cabriolet of course! You hop in your C-Cabriolet, open the top and let the sun shine on your face, and start your journey to the Hamptons with the wind in your hair and the biggest smile on your face. PREMIUM PACKAGE, MULTIMEDIA PACKAGE, PARKING ASSISTANCE PACKAGE, ILLUMINATED STAR, HEATED STEERING WHEEL, 64-COLOR AMBIENT LIGHTING. Recent Arrival! 21/29 City/Highway MPG Picture this. It's a beautiful summer day on Long Island. You've got no plans for the day and decide to take a spontaneous trip to the Hamptons to enjoy the magnificent weather. What car would be best to take the trip in? The Mercedes-Benz C-Cabriolet of course! You hop in your C-Cabriolet, open the top and let the sun shine on your face, and start your journey to the Hamptons with the wind in your hair and the biggest smile on your face. The COMAND® Navigation system will make sure you get to the beach with ease, and in the quickest route possible. This vision can become a reality when you purchase a C-Cabriolet! The C-Class Cabriolet opens a new dynasty of driving enjoyment as well as sporty elegance. The Illuminated Star shines bright in the grille to further add to the design appeal of this vehicle. Its convertible top is woven not just from rich fabric but a legacy of innovation, athleticism and craftsmanship. That is something that never goes out of season! The C-Cabriolet never fails to thrill, even year-round. With AIRSCARF®, you can still enjoy the top being down when it's a little chillier outside. The AIRSCARF® system wraps warm air around your shoulder area to provide you with warm comfort, even on a chilly night or a cooler fall day. The Heated Steering Wheel keeps your hands nice and toasty no matter what the weather is, and the 64-Color Ambient Lighting will always set the mood for a great drive. The C-Cabriolet even has a special climate control system that adjusts according to whether you have the top down or not. Clearly, the C-Cabriolet is a vehicle that caters to you whether the top is up or down!PREMIUM PACKAGE, MULTIMEDIA PACKAGE, PARKING ASSISTANCE PACKAGE, ILLUMINATED STAR, HEATED STEERING WHEEL, 64-COLOR AMBIENT LIGHTING. PREMIUM PACKAGE, MULTIMEDIA PACKAGE, AMG LINE, PARKING ASSISTANCE PACKAGE, ILLUMINATED STAR, HEATED STEERING WHEEL, 64-COLOR AMBIENT LIGHTING. Recent Arrival! 21/29 City/Highway MPG Picture this. It's a beautiful summer day on Long Island. You've got no plans for the day and decide to take a spontaneous trip to the Hamptons to enjoy the magnificent weather. What car would be best to take the trip in? The Mercedes-Benz C-Cabriolet of course! You hop in your C-Cabriolet, open the top and let the sun shine on your face, and start your journey to the Hamptons with the wind in your hair and the biggest smile on your face. The COMAND Navigation system will make sure you get to the beach with ease, and in the quickest route possible. This vision can become a reality when you purchase a C-Cabriolet! The C-Class Cabriolet opens a new dynasty of driving enjoyment as well as sporty elegance. The AMG Line gives this cabriolet an extra edge of sporty design, with AMG Bodystyling and 18" AMG® 5-Spoke Wheels. The Illuminated Star shines bright in the grille to further add to the design appeal of this vehicle. Its convertible top is woven not just from rich fabric but a legacy of innovation, athleticism and craftsmanship. That is something that never goes out of season! The C-Cabriolet never fails to thrill, even year-round. With AIRSCARF®, you can still enjoy the top being down when it's a little chillier outside. The AIRSCARF® system wraps warm air around your shoulder area to provide you with warm comfort, even on a chilly night or a cooler fall day. The Heated Steering Wheel keeps your hands nice and toasty no matter what the weather is, and the 64-Color Ambient Lighting will always set the mood for a great drive. The C-Cabriolet even has a special climate control system that adjusts according to whether you have the top down or not. Clearly, the C-Cabriolet is a vehicle that caters to you whether the top is up or down!PREMIUM PACKAGE, MULTIMEDIA PACKAGE, AMG LINE, PARKING ASSISTANCE PACKAGE, ILLUMINATED STAR, HEATED STEERING WHEEL, 64-COLOR AMBIENT LIGHTING.